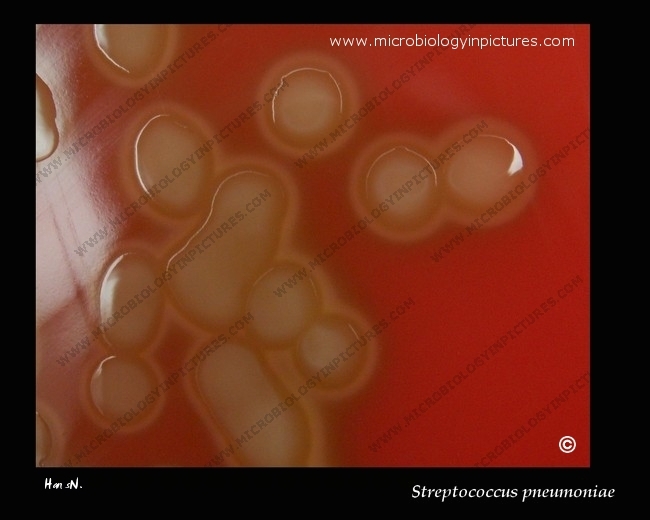 Streptococcus pneumoniae colonies and alpha-hemolysis on blood agar. What type of hemolysis has Streptococcus pneumoniae? Streptococcus pneumoniae mucoid colonies surrouded by a zone of alpha-hemolysis. Columbia sheep blood agar. Cultivation 48 hours, aerobic atmosphere, 5% carbon dioxide, 37°C.